Measurement, Evaluation, and Outcomes – Are Numbers Set in Stone? Let’s start at the beginning with the proposal cover letter. You can put countless hours into preparing the rest of your grant proposal, gathering all of the support documents required by the funder, and answering questions in an application. All of this time and effort may be wasted if you don’t write a compelling cover letter. If funders accept proposals as the initial approach, your cover letter gets you in the door with the foundation staff or trustees who screen proposals before sending recommendations to the full board of trustees for funding. These funders often receive far more proposals than they have funds available for grant making. If the cover letter isn’t compelling, the remainder of your proposal may not be reviewed. What goes into a compelling cover letter? Address the letter to a specific person. The inside address and salutation should direct the letter to a specific person. This is traditionally either the President/Chairperson of the Board of Directors or the CEO/Executive Director of the foundation. The name of this person can be found on the foundation’s website or their most recent 990. You can also find out the name and title of the person to whom the letter should be addressed by calling the foundation. This also allows you to confirm the mailing address. Letters addressed generally to the “Trustees” or “Board” indicate that you did not take the time to do your research. Introduce your organization and tell the funder what the letter is about in the first paragraph. Whether you are providing food to low-income families, college scholarships, or therapeutic horseback riding programs, let the reader know right away what you are asking them to support. If this is your first application to a funder, think of this as your first impression. What would you say to the funder if you met them in person and had the opportunity to introduce them to your organization?If you’ve received funding from the funder in the past, this is your opportunity to remind the funder of their previous support and how it has made a difference to real people, the environment, animals, etc. Be sure to thank them for their past support. End the first paragraph with a clear ask. Explain your connection to the foundation’s mission and vision. There are thousands of grants available. Why did you pick this one? Something about the foundation, their mission, program priorities, geographic or population focus, or grant making history indicated that their trustees or board would look favorably upon your application. Tell the funder about that connection. This shows the funder that you did do your research, and the match between their mission or program priorities and your organization is more than a coincidence. Reference any recent interaction with the foundation. If you attended a potential grantee training, participated in a community event sponsored by the foundation, or met with the grants manager, tell the trustees. Demonstrate that you are investing in a relationship with the foundation beyond asking for money. The cover letter should be on your organization letterhead. If your letterhead does not include your address, phone number, and an email address for the organization, add that information under the signature or in the closing paragraph. Make sure the letter is signed by the Executive Director/CEO and/or the Board Chair. Foundations expect grant proposals to be signed by the most senior staff person at your organization. Some foundations will expect both the executive and the highest-ranking member of the board to sign the cover letter (this will be indicated in the application directions). 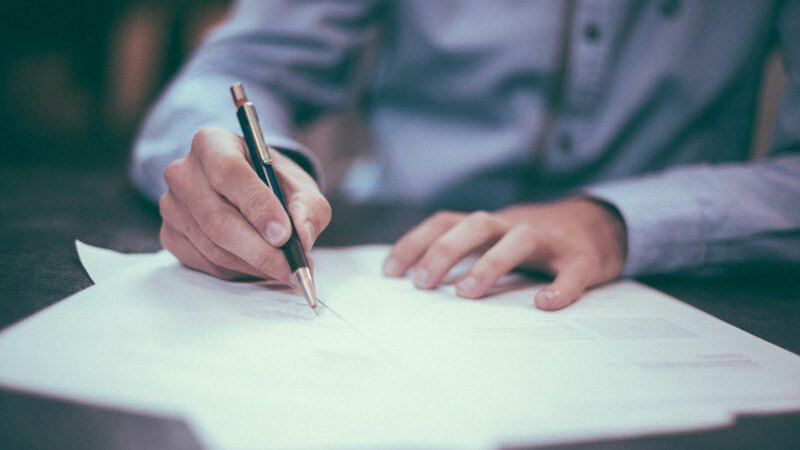 These signatures indicate the grant proposal has been reviewed and is supported by your organization’s leadership, and it is worthy of the foundation’s time and resources. The cover letter is not meant to rehash your entire proposal. It provides a brief introduction to the organization and specific program area/population for which funding is being requested. The cover letter also draws a connection between the foundation and the organization. All of this should fit in one page. Everything else – your organization’s history, an extended discussion of the need, budget information, your community partners, etc. – stays in the proposal where it belongs. Proper grammar and punctuation are basic expectations in professional communication. If you are uncertain about grammar and punctuation rules, use the grammar check in Microsoft Word or an app such as Grammarly. It is also helpful to have a colleague proofread your writing to check for errors and clarity. A well-written cover letter connects with the foundation and makes them want to read the rest of your proposal. Like most communication in development, it is donor-centered and tells your organization’s story clearly and concisely.